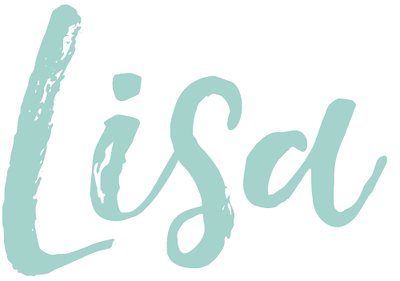 When it comes to chambray, I just can't get enough! I have quite the collection now and when I spotted this jumpsuit it took me all of 2 minutes to decided I could not live without it. 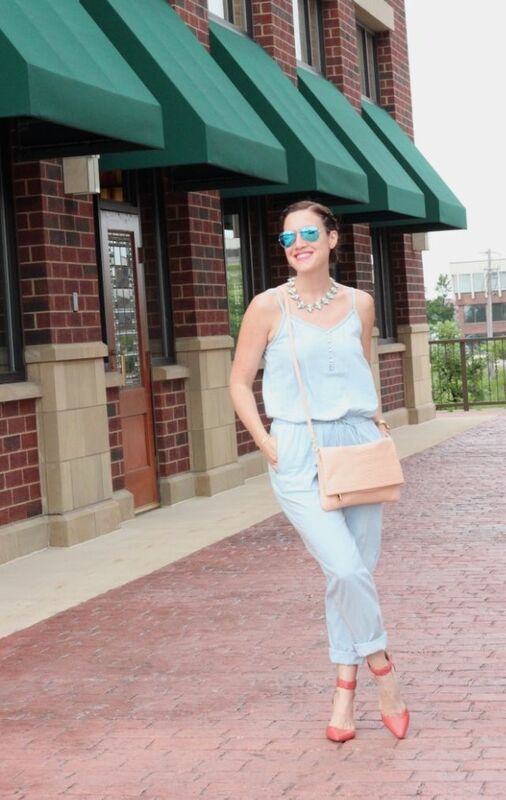 To style the jumpsuit for a mid-week GNO to the movies, I kept the look casual but chic. I added a coral kitten heel, a major bag, statement necklace, and then cuffed the ankles. To finish the look off I added gold jewelry, and because it was in the 80's, I went with braids for my hair. This outfit was super comfortable but it was also perfect for my girls night. It was so humid out so the braids really were the only way to go. I love how light in color this chambray is! That also helped as far as how cool it kept me. 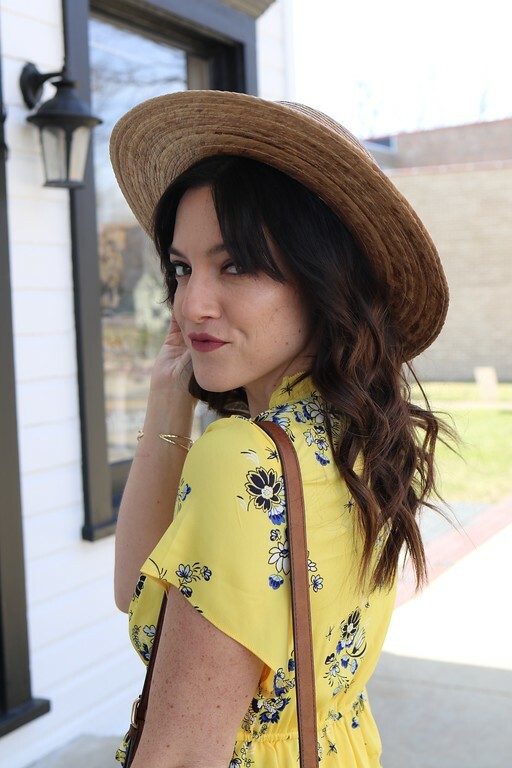 I can't wait to style it again and again all summer long! What do you think of this jumpsuit? 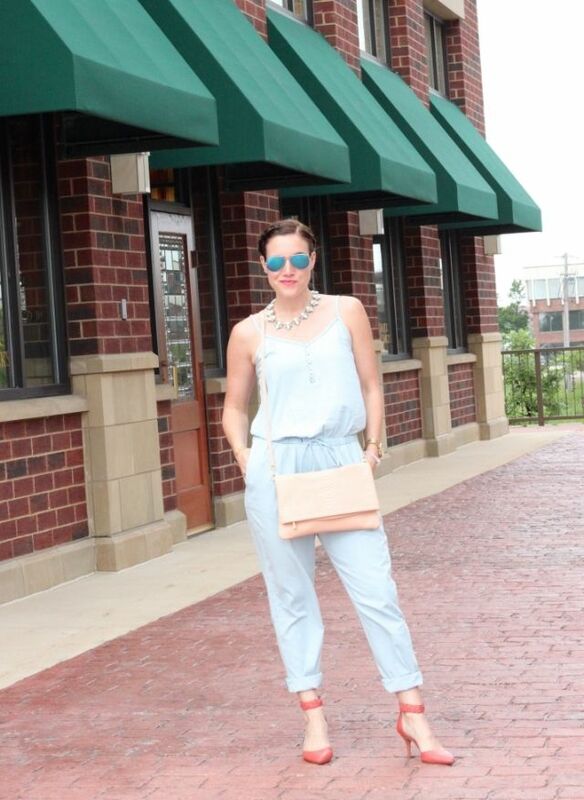 Are you a big fan of chambray items too? Let's chat in the comments section below!